The TRILITY journey started in 2011, yet our history dates back some 30 years. 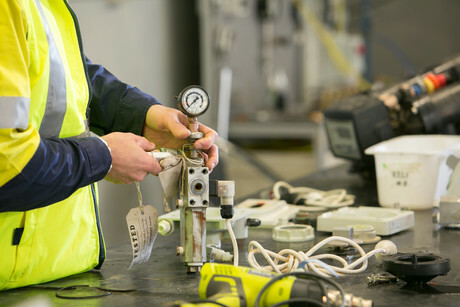 Over the past few decades our business has evolved and continues to grow its footprint across Australia and New Zealand. Since its inception, TRILITY has been involved in the delivery of hundreds of water infrastructure projects, currently servicing over 600 facilities. We have extensive operations, spanning from the far south of Tasmania to the most northern tip of the country and across the Tasman. Today, our business combines many services, solutions, products and applications to suit each client’s needs. We continually pivot to keep pace with rapidly evolving technology, markets, regulations and climate conditions. We recognised the need to become more agile and that is why we integrated the Hydramet and TRILITY businesses into a single TRILITY entity. We made this change with the market in mind, and with the aim to provide a complete offering. TRILITY is committed to be a ‘partner of choice’ in the delivery of water, wastewater and environmental services. Today our combined services consist of; asset finance, project design and construction, operations and maintenance, modular solutions, spare parts supply, and servicing — all delivered by an integrated team, under a single brand. This integration provides access to an extensive range of technical and operational expertise across a broad geographic spread. We manage numerous water infrastructure assets across Australia and New Zealand using best practice management systems and processes. We use the latest technology to design, build, install and operate modular water and wastewater treatment solutions. TRILITY specifically tailors solutions to meet the various water treatment challenges faced by the water sector today. It was important to TRILITY to build our business around our strengths. We are front-line operators and service technicians supported by a dedicated group of water quality professionals. Together we deliver safe and efficient water and wastewater services, with a vision to be the most respected in our field. Our solutions and services are built on our heritage and our expertise, a dedication to do it right, and a passionate commitment to provide our services effectively, efficiently, safely and responsibly. Our competitive advantage lies within our specialised teams, as well as our relationships with local subcontractors, consultants and suppliers. We work alongside our clients, as partners, to optimise facilities, processes and performance — creating value through the full water and wastewater cycle, enhancing competitiveness and protecting the environment.